Start off your visit on the 27th (Sun): explore and take pictures at Amethyst Mine Lapland and then take an exotic tour of a safari tour. For reviews, maps, traveler tips, and more tourist information, read our Luosto trip itinerary planner . Munich, Germany to Luosto is an approximately 10.5-hour flight. You can also drive. The time zone difference moving from Central European Time to Eastern European Time is 1 hour. Traveling from Munich in October, you will find days in Luosto are much colder (3°C), and nights are a bit cooler (-2°C). Finish your sightseeing early on the 27th (Sun) to allow enough time to drive to Inari. Kick off your visit on the 28th (Mon): explore and take pictures at Inari Reindeerfarm, then take some stellar pictures from Otsamo Fell, and then admire all the interesting features of Tuula's Reindeer. On the 29th (Tue), you'll have a packed day of sightseeing: take in the architecture and atmosphere at Saint Tryphon Pechenga Orthodox Church, take in the architecture and atmosphere at Pielpajarvi Wilderness Church, and then see the interesting displays at Siida. For reviews, more things to do, photos, and more tourist information, refer to the Inari travel planner. Getting from Luosto to Inari by car takes about 3.5 hours. Other options: take a bus. In October, daily temperatures in Inari can reach 3°C, while at night they dip to -2°C. Wrap up your sightseeing on the 29th (Tue) early enough to travel to Kilpisjarvi. On the 30th (Wed), head outdoors with Kukkolankoski and then don't miss a visit to Saana. For maps, traveler tips, ratings, and more tourist information, refer to the Kilpisjarvi online trip itinerary maker . You can drive from Inari to Kilpisjarvi in 5.5 hours. The time zone difference when traveling from Inari to Kilpisjarvi is minus 1 hour. In October in Kilpisjarvi, expect temperatures between 6°C during the day and 0°C at night. Finish up your sightseeing early on the 30th (Wed) so you can travel to Akaslompolo. 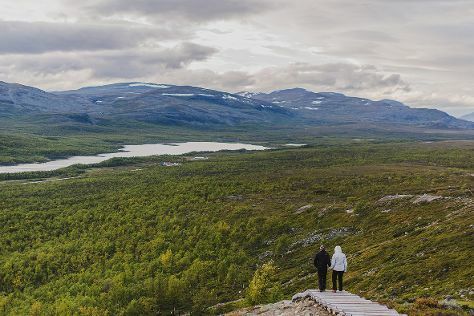 Step off the beaten path and head to Seven Fells Up and Ounaskievari Reindeer Farm. Explore the numerous day-trip ideas around Akaslompolo: Kittila (The Sarestoniemi Museum & Giewont Husky Adventures) and Levi Ski Resort (in Levi). To see where to stay, maps, reviews, and more tourist information, refer to the Akaslompolo online day trip planner . You can drive from Kilpisjarvi to Akaslompolo in 3.5 hours. The time zone difference when traveling from Kilpisjarvi to Akaslompolo is 1 hour. Traveling from Kilpisjarvi in October, things will get a bit cooler in Akaslompolo: highs are around 3°C and lows about -3°C. 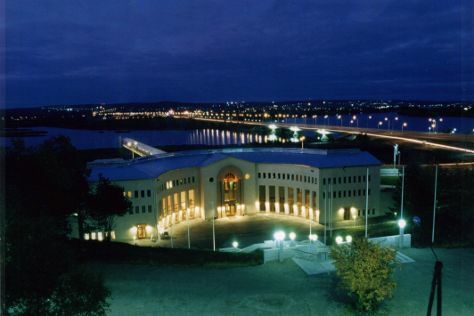 Wrap up your sightseeing on the 2nd (Sat) to allow time to drive to Rovaniemi. You'll explore the less-touristy side of things at Lumberjack's Candle Bridge and Syvasenvaara Fell. Next up on the itinerary: get in on the family fun at Santa Claus Village, stroll the grounds of German Soldier s Cemetery, pause for some serene contemplation at Rovaniemi Church, and don't miss a visit to Lordi's Square. To see reviews, more things to do, maps, and tourist information, use the Rovaniemi trip planner. Getting from Akaslompolo to Rovaniemi by car takes about 2.5 hours. Other options: take a bus. In November, daytime highs in Rovaniemi are -2°C, while nighttime lows are -7°C. Finish your sightseeing early on the 5th (Tue) so you can travel back home.